Custom Tire Tape Measure Key Chains, Personalized in Bulk or Blank. Promotional, Inexpensive. Lowest cost in America. 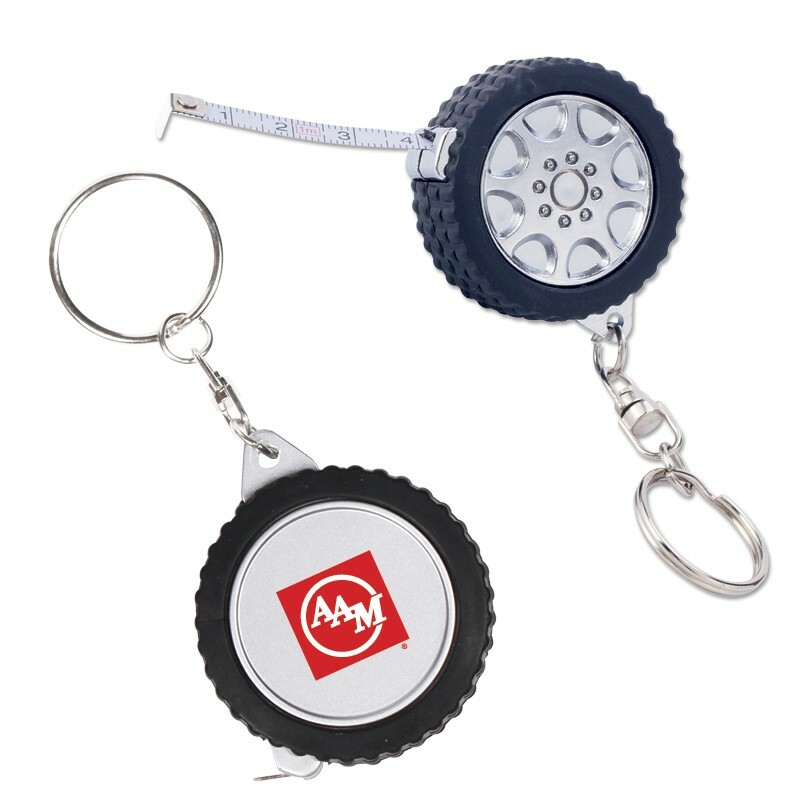 Bulk Personalized Key Holders with Measuring Tapes in a miniature tire. Ideal realtor or auto dealer gift. We also supply bulk blank (not imprinted) measuring tape tire keychains at for $0.99 each and direct import measuring tape tire keychains at lower prices (please scroll below our regular Price Table to see the lower factory direct prices) . Budget Prices in the USA and Canada for wholesale measuring tape tire keychains . American clients pay no taxes, Canadian clients don't pay PST. We will send you a proof for your approval before production. Basic unit price is for 1-color imprint. Also available blank (not imprinted) for $0.99 each. Please contact us if you require more details. Run Charge: $0.55, per piece, percolor, per location.